ArtReach St. Croix values our volunteers! Volunteers make our programs possible! Consider spending some time with us – connect your community to the arts! Volunteers work with ArtReach St. Croix at events, on committees and on special projects. Our volunteers are all ages, backgrounds and talents. Sign up for one of our current volunteer opportunities, email us if you are able to help, or call 651-439-1465. Gallery volunteers – Do you enjoy art and artists? Then this may be the volunteer opportunity for you. ArtReach gallery docents assist gallery visitors and answer the phone during normal gallery hours Wednesdays-Fridays, 1:00-4:00 p.m. and Saturdays, 12:00-4:00 p.m.
Volunteer Coordinator position (2-4 hours/week) – Help ArtReach connect communities and the arts by helping us coordinate our volunteers. This volunteer would be asked to follow up with individuals interested in working with ArtReach, communicate with and schedule existing volunteers and help ArtReach fill event based volunteer needs. Research/data entry projects – Love the arts but not an artist? This may be the volunteer project for you! Help ArtReach support local artists and arts organization by helping us keep our data entry and research up to date. This volunteer needs to be comfortable with a computer. 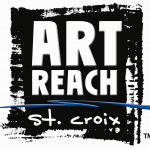 Visual Arts committee – Interested in helping with the gallery exhibition program at ArtReach St. Croix? Visual Arts committee members are involved from artist selection through installation and opening receptions. The Big Read®/Literary Arts committee – Community members interested in helping to plan and implement a valley-wide community read event and other literary arts programs are needed. Writers, readers and fans of literary arts, this is the volunteer opportunity you have been looking for. Community event volunteers – No time for a long-term commitment? Consider getting involved as an event volunteer. Event volunteers help greet visitors at ArtReach concierge tents during Take Me to the River, help ArtReach at community events like Stillwater Log Jam or Summer Tuesdays, assist with fund-raising events like the Birdhouse Auction and other pop-up events throughout the year.